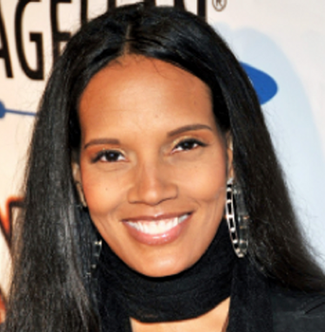 Since the day that Shari Headley received a personal call from Eileen Ford, saying that Shari had beat out thousands of hopefuls in the prestigious FORD Modeling Agency’s Supermodel of The World Contest, her star has continued to rise. 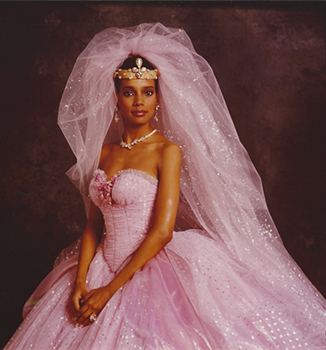 Soon after, the Queens, New York native got commercial offers to promote such companies as L’Oreal, Burger King, Macy’s, and Avon, to name a few. Network television shows soon began to knock on her agents’ door with guest starring roles in Miami Vice and The Cosby Show. In 1988 Shari won the lead over two thousand actresses to make her film debut starring opposite Eddie Murphy in the blockbuster hit Coming to America. This film has become an internationally known cult classic that has managed to cross all ethnic barriers and remains a favorite with each generation. A leading role as the daughter of Academy Award winning actor Louis Gossett Jr. in the ABC Television Series Gideon Oliver was good training for Shari to win future parts; a 3-year contract role on All My Children as well as the lead actress role of Juanita Barnes on the critically acclaimed Fox series 413 Hope Street starring Jesse Martin, Richard Rountree and produced by Damon Wayans. Other roles on New York Undercover, Malcolm and Eddie, The New Love Boat, Walker Texas Ranger, The Wayans Brothers Show, 10 Things I Hate About You, Castle and TV One’s Love That Girl! would also become additions to Shari’s resume. The opportunity to work with Academy Award winner Denzel Washington in The Preacher’s Wife, and Will Smith in The Wild Wild West music video would become incredible experiences in an already seasoned career. With two NAACP Image Award nominations under her belt, as well as the 2013 President’s Volunteer Service Award from President Barack Obama, Shari continues to purse her acting career while she helps others to follow their dreams.